All that is left in my heart for her is only deep gratitude. My first consultation with Deki was in February 2012. That was my stressful times as I was tasked to perform some work issues where I always thought I was not up to it. I was very anxious, worried, scared, impatient, lost, feeling a lack of confidence to perform the tasks, and wanted to try running away from it. I was so glad when I managed to find out Deki’s profile & Bach flower remedies via the internet. I immediately scheduled an appointment with her. Deki was extremely patient when I told her my problems, and she listens to your problems and always gave me very good advice on how to improve my well-being, to become a happier person, and to have more confidence in myself. We can relate to each other very well, and she clearly knows the situation that I am facing. Since February, I have been taking the Bach Flower remedies which Deki has helped me to select based on my current emotions and issues at the point of time(i.e anxious, lack of confidence, worried for no reasons). After taking the Bach Flower remedies for 3 weeks, I can sense a big change in me. I became less anxious, less impatient, more confident at work. This was really amazing, as my boyfriend also noticed the changes in me. I became more patient, less frustrated with work issues and my mind was calmer which enables me to think better. I am really glad to meet Deki and she is always very nice, patient and offers a great listening ear when I tell her my problems always and I really appreciated the support that she gave me always. I highly recommend Deki’s consultation and also the Bach flower remedies which I have benefited. I will really like to help myself and my loved ones and decided to enroll in the introductory course in Bach Remedy. The two days of courses have enabled me to have an in-depth look at the traditional crisis formula and its use, the history and philosophy of Dr. Edward Bach. I have learned the use of remedies in certain situations for myself, loved ones including plants and animals. Thank you, Deki for everything! You have provided inspiration for me to heal myself!! 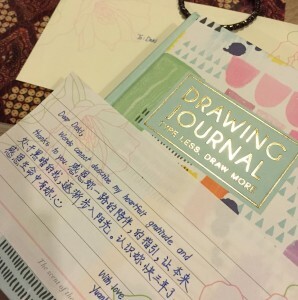 “First and foremost, I would like to express my heartfelt gratitude to Deki for EVERYTHING. It’s never easy for one to open up your deepest worries or fears to someone else. But Deki is just one such person whom you can feel so safe to do so. A few months back, I took a step and embarked on a journey that I never could ever imagine. It’s a journey back into my HEART, to listen once again to the long-forgotten voice of mine, to really listen with love and compassion. It was when I felt overwhelmed with emotions that I have suppressed for so long when Deki came into my life. She started BFR therapy on me. With much patience, she guided me through a journey of self-searching. BFR settled my emotions and gave me clarity in all areas of my life. Deki made me realized that I was able to face my darkest fears. I have since learned to accept and embrace these fears with unconditional love, for this is our life-long lesson. All thanks to Deki and BFR”! “I first came to learn about Deki through this website in late 2011. I’m the sort of person who proactively seeks to help myself, as I recognise that I need an external perspective to my problems from time to time. As such, I’m comfortable with natural healing systems, such as the Bach Flower Remedies. Through several sessions over the course of many months, I’ve come to appreciate Deki’s insight into some of my personal issues. Right from the first time I met her, I could sense her sincerity and genuineness in wanting to help others. She has an incredibly intuitive ability to sense my moods and to ask pertinent questions, as she helps me to uncover some of the issues that trouble me in my personal life. All these qualities make her an excellent therapist and I’ve learnt much from her regarding the use of the Bach healing system. 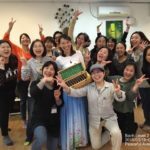 “It’s hard to describe the effectiveness of Bach Flower Remedy (BFR) because how much you gain from it depends entirely on how much you’re willing to share about yourself, and I’m glad to say that this is where Deki’s methods shine. “I was a little apprehensive before my first meeting with Deki. I wasn’t sure if I wanted to open myself up to a complete stranger; in fact, I didn’t even know where to start off my conversation with her. Nevertheless, I wanted to give Bach Flower remedy a shot so I went anyway. The kind face and gentle voice that greeted me at that first meeting put me at ease immediately. Deki introduced me to Bach Flowers and got me talking about the issues that were bothering me. She could easily identify with my problems and could read my emotions through my eyes. I left my first session filled with hope. This was going to work. A few nights after that first session I was pleasantly surprised to receive a phone call from Deki, just to find out how I was doing and how I was reacting to the remedy. I could feel that Deki genuinely cared for me. This, together with her gentle nature, allowed me to trust her and led me to see her as a friend instead of just another counselor of sorts. 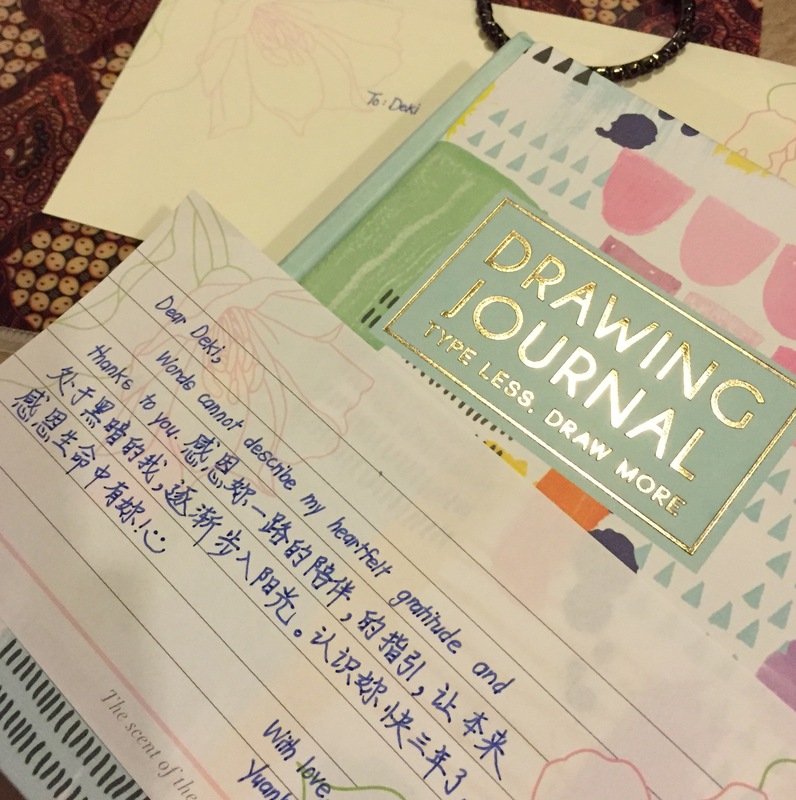 “Meeting Deki is one of the most rejuvenating experiences for me. I say this because I met her for Bach remedy therapy when I was most down, facing a lot of challenges which caused me to lose faith in myself and in others. Deki has a very personal touch when she deals with her clients. She’s a very down-to-earth person who is practical and straightforward and yet very empathetic and approachable – a unique mix of qualities not easily found in just any one person. “Early this year, my whole family were infected with Streptococcus Pneumoniae. Our lungs were affected and the youngest one had ear discharge that became a real concern and fear of ear perforation. My 2 boys went through tests and treatments of strong antibiotics, etc. Our ordeal lasted a couple of months. It was a physically trying and emotionally stressful period for the family. Highly sleep deprived, I was tensed, worried and very quick-tempered. My young boys, still very much within my auric field were naturally affected by my high strung energy. When Deki offered to visit us with her remedies, I was very happy. Right after the 2nd intake of the flower remedy, I felt a remarkable release of my stressful emotions where I experience instead of a sense of refreshing calm, clarity, peace, uplifting strength and stability. All these while I am still highly sleep deprived. I also observe a stark difference in my younger son who was most times agitated, grouchy and irritable during his illness but after his 2nd dose, calmed down significantly as well. Feeling very excited, I quickly told Deki about the changes and went on to recommend Bach natural flower remedy to my other friends. Bach natural flower remedy really works! “Deki makes a great first impression! After learning about her work I immediately set up an appointment and subsequently had several consultations with her. Her professionalism and sincerity made it easy to establish trust, which helped me feel comfortable sharing with her. As we progressed through the consultation sessions, Deki supported my growth at a pace that worked for me. She exhibits strong intuition which helped me look inside myself. I always felt confident working with her and appreciated her support. Deki makes each session personal and has a special skill in recognizing some of the broader experiences or emotions I was feeling. She patiently taught me to listen to myself and to recognize my strengths. After working with Deki I feel more peaceful and optimistic about the future. “I had a severe depression under its circumstances that barely manageable, which it reacts negatively to any situations, which trigger outburst frequently. Not until Deki introduced “Bach Flower Remedies”. 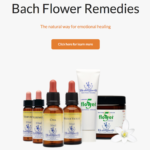 “I have heard about Bach flower for quite some time but never think of trying it as I don’t really believe the power of Bach flower and I don’t know why because most of the time I would want to try for something new. I notice that since I know about Bach flower it has indirectly connected to my life as I found it from a book and saw it at the shelf and it seems to keep asking me to try it out… ha ha! Last month, I suddenly felt very depressed and tire. I seem have lost all my energy and I know that I need to release my negative emotion but have no idea what to do finally I get to know Deki from Kampong-senang’s website and I had contacted her immediately and make an appointment with her. During the healing session, I have able to release my negative emotion and the first 2 days after taking the Bach flower I still have a lot of negative emotion and after that, I just feel very calm and relax. I started to feel my energy and even able to listen to my inner self- it told me not to worry about the past and the future but just focus on this moment. I know I have made a right choice and the healing power of Bach flower is really wonderful. “Once again, I wish to say ” THANK YOU”. It is a very great experience to discover the inner self with the help from you and the flower remedies along the way. I can still remember how happy I was after the first session. With your clear explanation on the theory and practise of the Bach Flower Remedy, I had the feeling of: “Yes, this is what I am looking for”, after a long time indulgence in the muddy emotion. With your patience of listening to me, I had had the very first relieves from the burdens. With the kind help and generous sharing from the force of nature -Flower, I can slowly step into my own inner “locked door” and find out the imbalance of inner self, to understand the causes and effects from the self life history and experience, and to correct it, to tune it into a balance stream. I first came to learn about Deki through this website in late 2011. I’m the sort of person who proactively seeks to help myself, as I recognise that I need an external perspective to my problems from time to time. As such, I’m comfortable with natural healing systems, such as the Bach Flower Remedies. Half a year ago, my relationship with Deki is that of client-and-therapist. Today, my wife and I count Deki as our good friend, along with her husband. 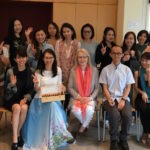 We’re very blessed to have had the opportunity to know such compassionate and helpful people, and we marvel at the simplicity and suficiency of the Bach Flower Remedies!